If I post one picture a day it would take years to show you each and every one of the thousands of pictures I have stored away on my hard drive and various hard disks. And since I won’t stop making photos, it would never end. So why not put those photos to good use and show you at least some of them? In Japan in Pictures I want to show you pictures that I especially like, have an emotional connection to or just find interesting because they are part of the life in Japan. Are there things you are especially interested in? Something you want to see? Let me know in the comments and send me out on the hunt for pictures! 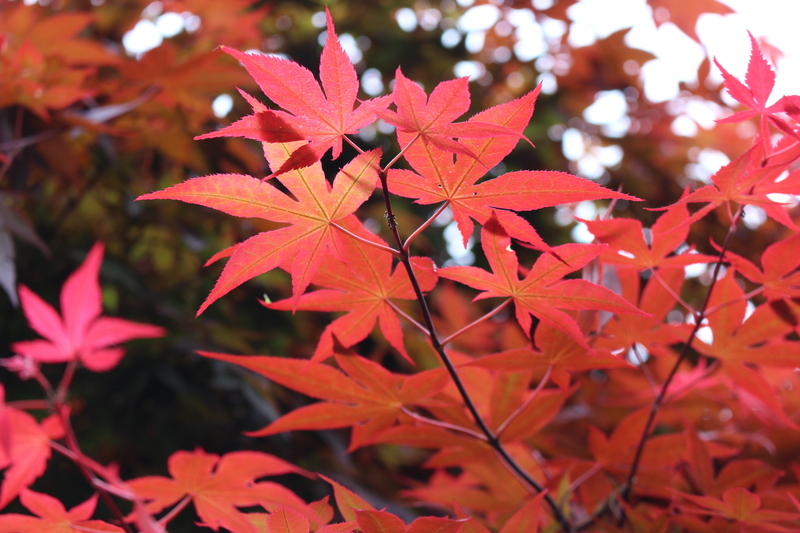 The first picture below shows the beautiful red colors of Momiji, the autumn foliage, which is not only one of my favorite things to take photos of, but also one of the most beautiful things to see here in Japan, next to the cherry blossoms.